Late last month we had our booth at the biggest model railroad show we have ever attended. 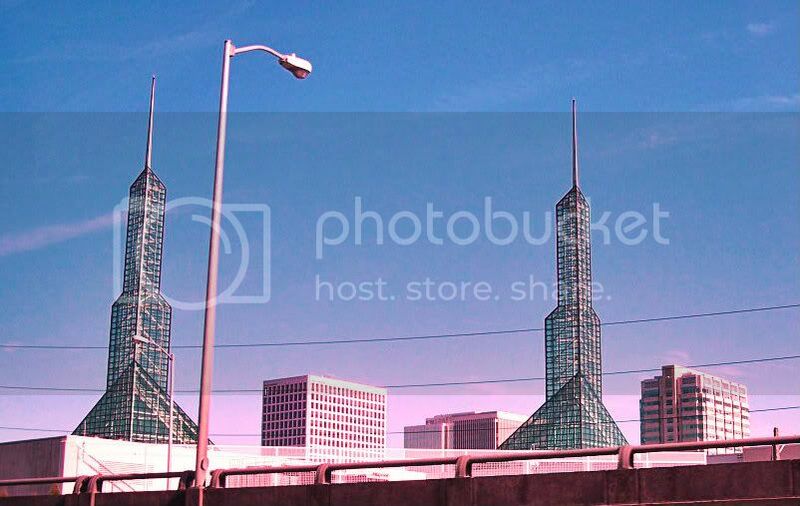 The World’s Greatest Hobby on Tour in Portland, Oregon, held at the Oregon Convention Center. This place was huge! And there were so many vendors, layouts, and manufacturers there, it was a boon to anyone who had the chance to attend. We were so completely slammed (in a good way!) with customers, we barely had time to look around but here are some pictures I was able to find the time to snap. 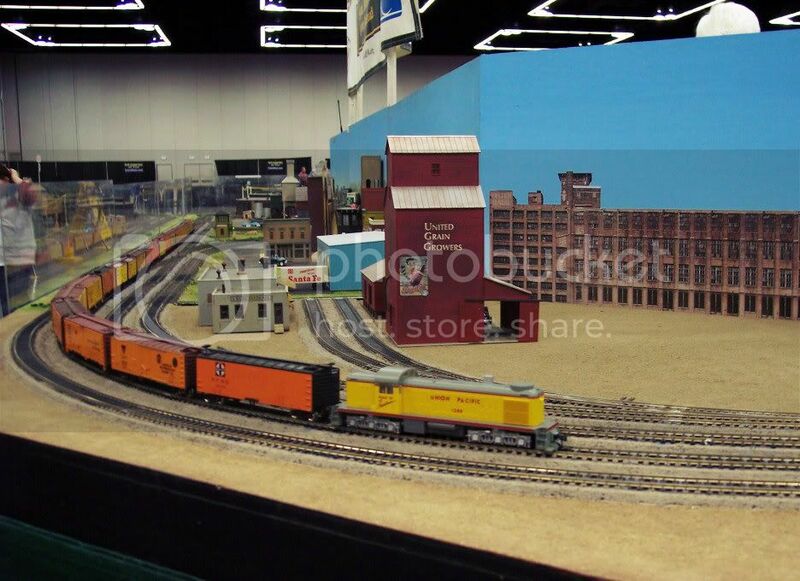 Last time we were in Portland, at the Great Train Expo, we saw the Rose City Garden Railway Society and they were at this show as well with their expansive layout! 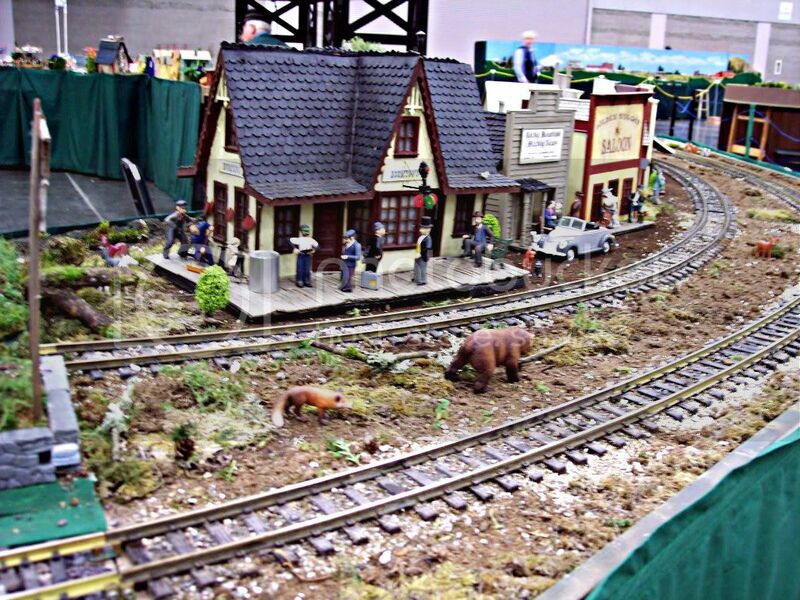 The Rose City Garden Railway Society will be having their 2012 Summer Tour, Railroads in the Garden, on Saturday June 16th from 10am to 5pm with 8 – 12 layouts to see. For more information or to sign up for their once-a-year email reminder, you can go to www.rcgrs.com. Even though we were a few hours from home, we saw some of the layouts we see every year down in Medford. Southern Oregon Z Modelers Engineers were on hand with their always popular layout. And next door, their friends, and ours, at Cascade Z Modelers! 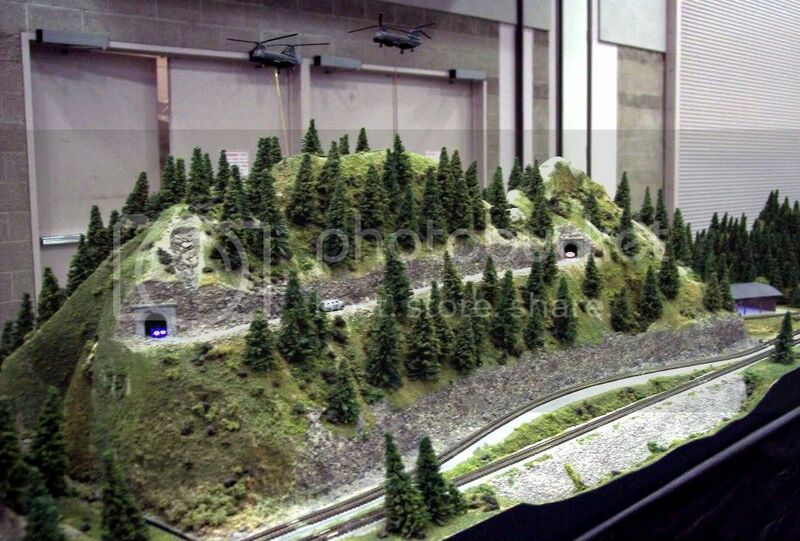 Then, I got another look at a layout I had seen at another show, by the HO Modular Group of the Pacific Northwest Region – Fourth Division NMRA. 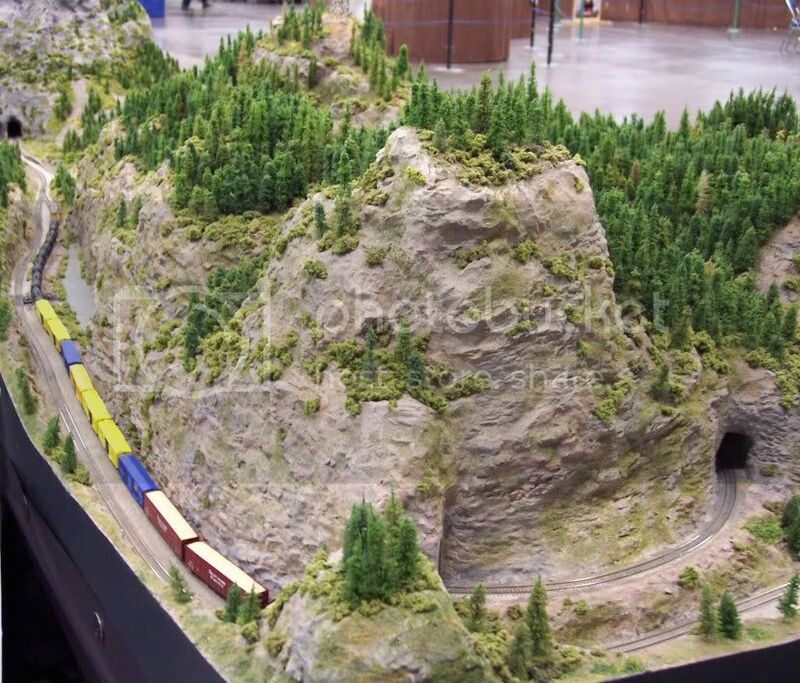 Here is a shot of their layout of the, Seattle, Pacific & Eastern Railroad. 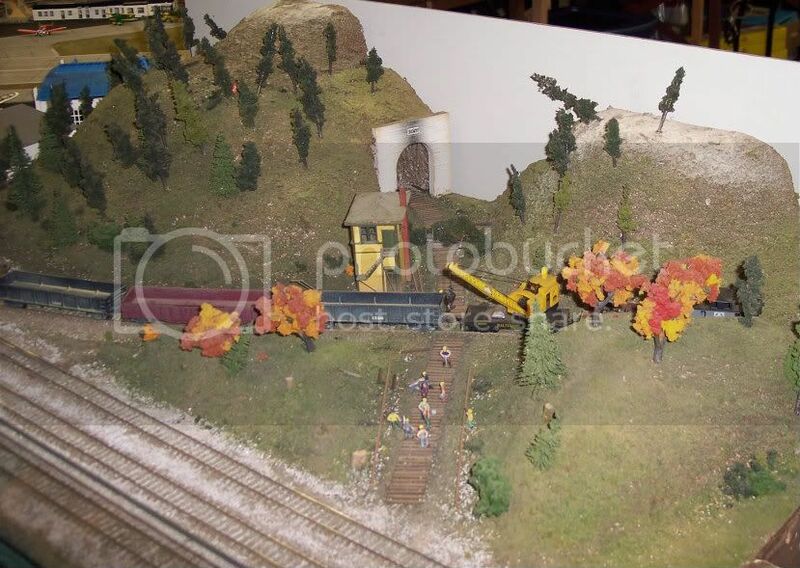 For the first time I saw a layout from Northwest S Scalers. Here they have a nice variety of offerings shown in their layout from dramatic scenery to unique industry and townscapes. Another new layout for my eyes was that of the Beaverton Modular Railroad Club. Here’s a nice little scene sporting some fine scenery with some hard-working crews. 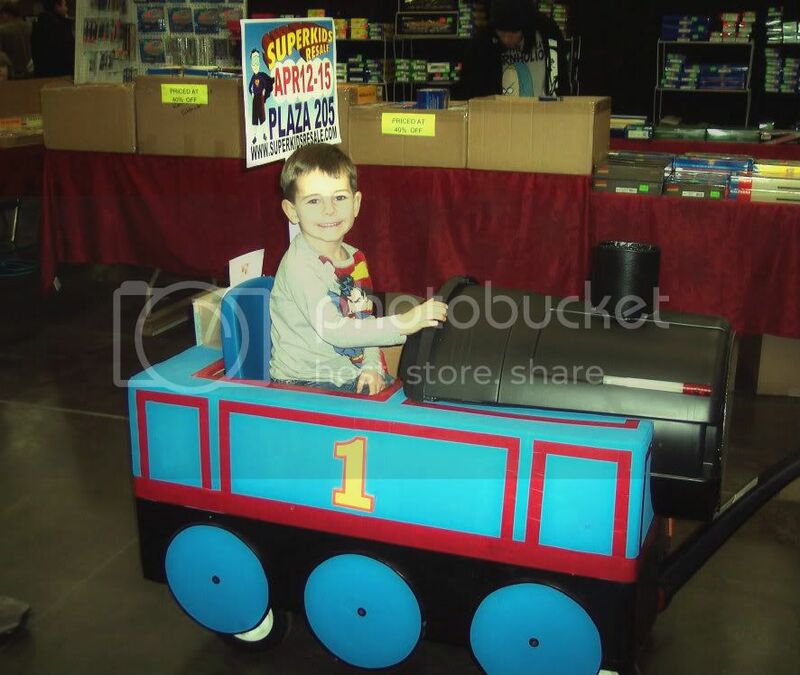 I snapped this shot of this homemade Thomas the Tank Engine driving by our booth with a dangerously cute child inside. They were advertising a giant kids consignment event in Portland for this weekend, more info is at www.superkidsresale.com. Sometimes on the way to or from shows, we see strange things on the road. This time was no different. 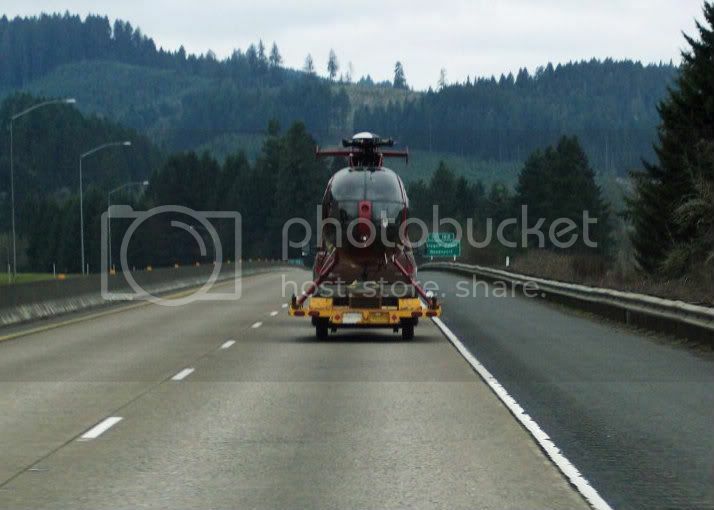 Driving home we found ourselves behind a helicopter. There’s something you don’t see everyday….